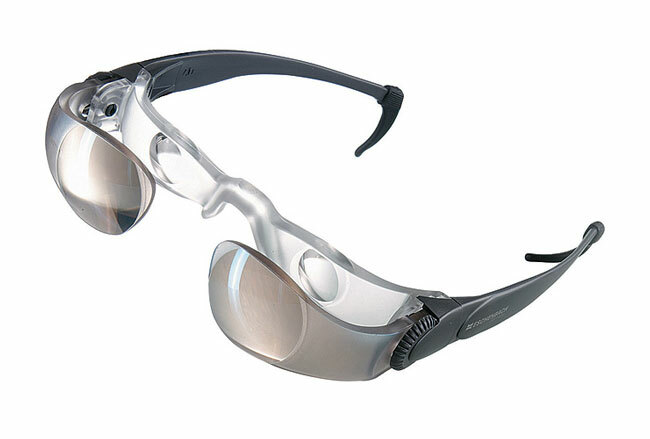 As the name suggests, this are binocular glasses which are manufactured to provide visual to those with impaired sight. Not only these binocular glasses suit to be a great companion for those in need but that are also great for magnifying objects from distances. Eschenbach magnifier glasses are made in Germany by leading option company using their more sophisticated yet very simple design for which they have been famous for. These offer 2.1X magnification. These binocular glasses are great for those who suffer from sight impairment and have difficulty in watching objects even few feet away. 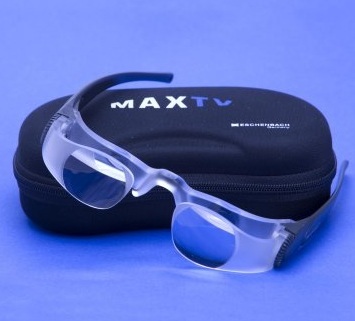 This magnifier glasses will let those people watch TV or any other object that is more than a few feet away. This Eschenbach magnifier binocular is even great tool when it comes to watching your favorite show, sporting event or even watch opera without have to carry those Opera glasses. These binocular glasses have a very strong polypropylene frame with detachable non-skip ends. The lenses in these glasses are made of durable plastic with anti-reflective coating to protect eyes from excessive lights. These Eschenbach magnifier glasses have two micro side wheels for adjusting the sight of each eye individually. This binocular glasses only weigh 49 g and have a min and maximum rage of 5 feet to infinity. Overall these glasses are great for those who rely on other visual aids for watching TV, shows, sports events, birds etc. Because of the simplicity in design we rate this 8/10.